Because dairy markets are so naturally volatile, the reaction among industry stakeholders and the government has been to try to limit the volatility. Methods meant to achieve orderliness have increased —and become more complex— over the last century. The milk classification system is one such example of the industry trying to fend off commodity market chaos. Class prices ensure that plants are given consideration of usage of the products they make. Plants that sell higher-priced end products pay more for raw milk, and those selling less expensive product pay less. The idea came about during the 1930s, when fluid milk was nearly two-thirds of the demand use for milk in the U.S. To ensure that high demand would be met, the classification system set higher prices for fluid milk and descending prices for milk destined for other products. Most milk in the U.S. is produced within Federal Milk Marketing Orders (FMMOs). In 2016, nearly 134 billion pounds of producer milk was sold in the orders. Here’s a breakdown of milk classes in the Federal Orders and the milk produced within them. Class I – The milk we drink or use in cereal makes up this class. In 2016, 41.14 billion pounds of milk went for Class I use, or 30.7 percent of that year’s total production. Class II – Milk in this class is used to make soft dairy products like yogurt, ice cream or sour cream. 18.14 billion pounds of milk went into Class II in 2016, or 13.5 percent of the year’s total. Class III – Milk used for most types of cheese and whey makes up this class. In 2016, 55.92 billion pounds of milk was utilized in Class III, or 41.7 percent of the year’s total. Class IV – Butter, butter-based spreads and dry products like whole milk powder and nonfat dry milk comprise Class IV. In 2016, 18.65 billion pounds of milk was utilized in Class IV, or just under 14 percent of the 2016 total. These production totals only reflect milk sold within the Federal Order system. According to the National Agricultural Statistics Service, an additional 78.4 billion pounds of milk was sold in the U.S. in 2016 outside of the Federal Orders. California, which produces the most milk of any U.S. state (40.47 billion pounds in 2016), operates its own state order and milk classification system. Montana has its own state order, too. Formulas based on average dairy product commodity prices set the price for each of the milk classes within the Federal Orders. Different variables drive prices in each class. Milk destined for Class I utilization undergoes the least amount of processing before sale, but its price is calculated by a formula driven by the prices of the other, more heavily processed classes. The Class I price for a given month is announced prior to the start of that month. Prices in Classes II, III and IV are set based on average prices of commodities produced in those classes (butter, cheese, whey and nonfat dry milk). These prices are announced in the following month. That means processors of milk in Class II, III or IV won’t know what they will pay for their milk until the month after they received it. The concept of pooling is another key part of reducing volatility. Federal and State Orders dictate that individual producers associated with the Order are paid based on a weighted blend price of all the milk in the Order. This way farmers participating in the pool collectively benefit from the proceeds of all milk sold rather than some earning more and others earning less due to the type of plant they deliver to. Pooling also ensures a mutually beneficial level playing field for plants in the Order. This arrangement keeps balancing plants in the area for when Class I use is low by providing pricing support to manufacturing plants throughout the year. Note that while proprietary handlers must follow minimum payment rules (generally that producers must be paid at least the blend price for the order minus a reasonable charge for hauling), cooperatives are exempt from these rules. Dairy traders build networks and relationships that span the country and the state and federal orders. 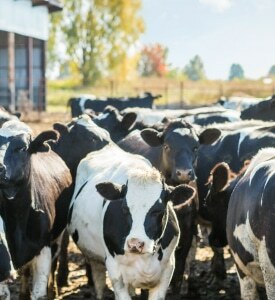 Through expert understanding of the mechanics and rules in place in the orders, traders can maximize returns for both buyers and sellers in the dairy industry. Customers on both sides of the equation have trusted T.C. Jacoby & Co. to provide dairy industry insight for nearly 70 years. With our knowledge of the milk classification and Federal and State Order systems, we’ll help achieve stability and drive profitability for your business. Contact us for a consultation. We’ll show you how. 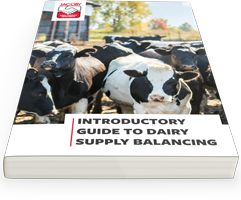 To learn more about the other ways to achieve balance in the industry, read our introductory guide to dairy supply balancing. Everyone wants balance. Getting there starts here.